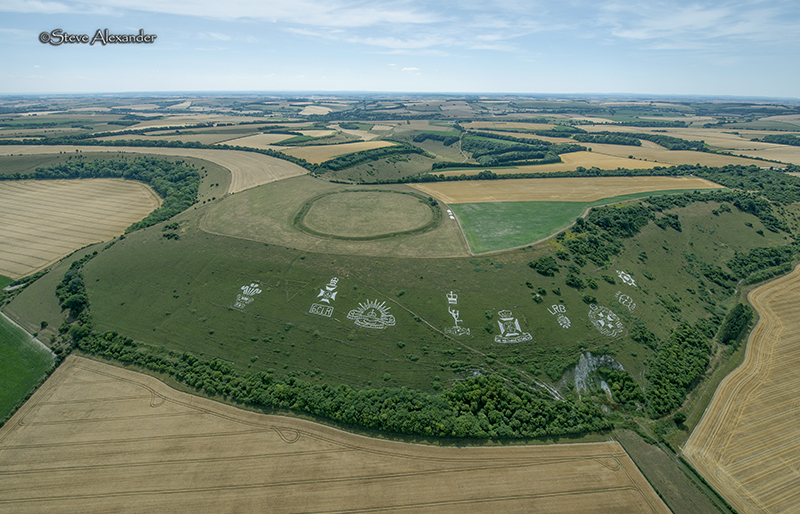 Gurston Ashes, nr Fovant & Chiselbury Ring, Wiltshire. Details: This circle was first seen on July 24th and is located at a place called Gurston Ashes (a ring of ancient trees), nr Fovant in Wiltshire. 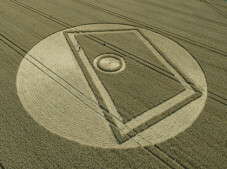 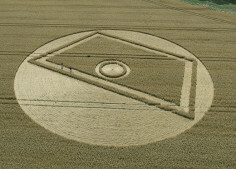 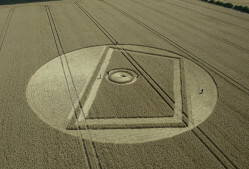 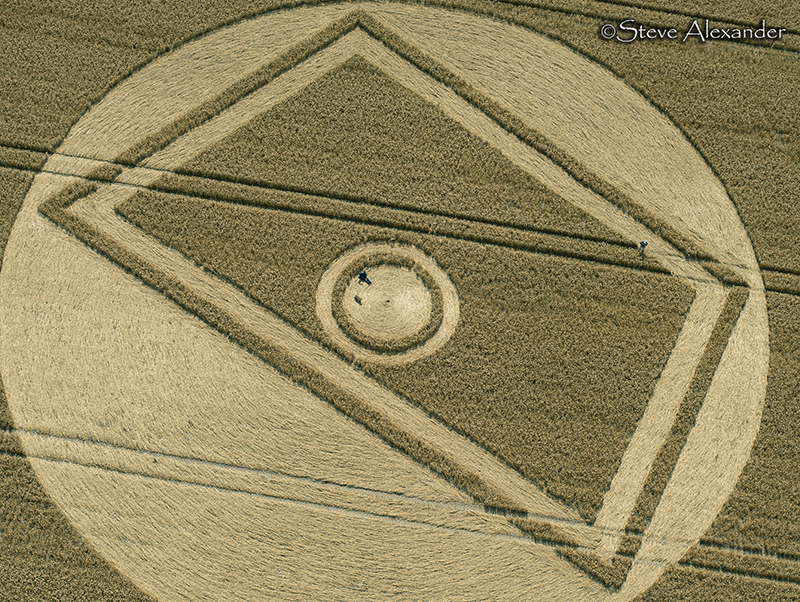 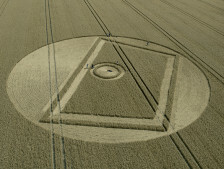 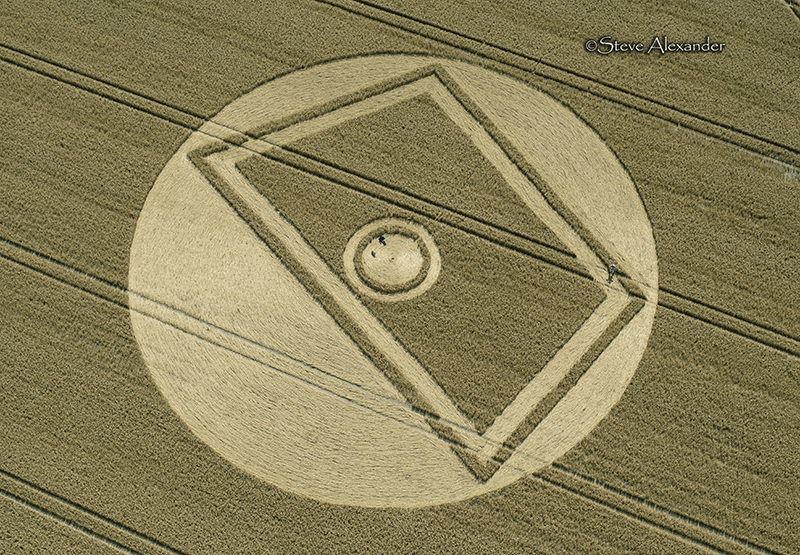 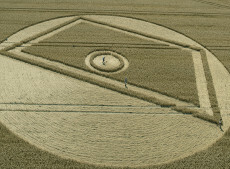 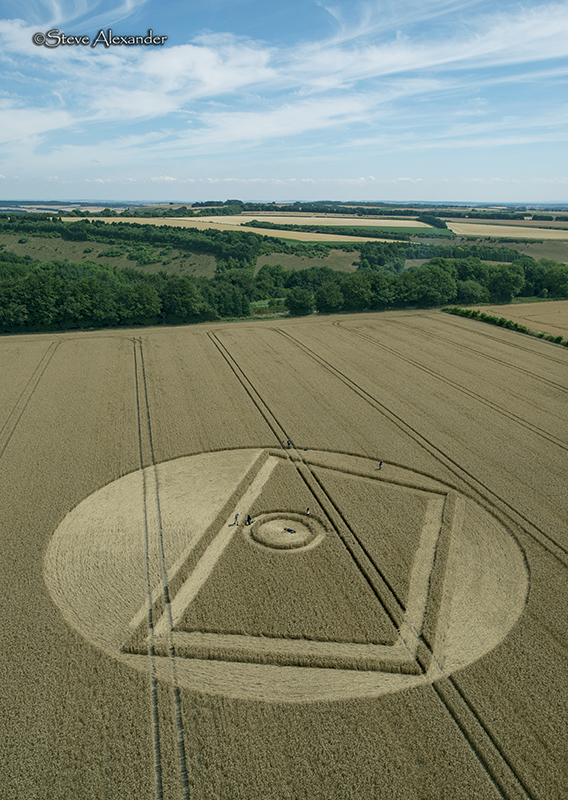 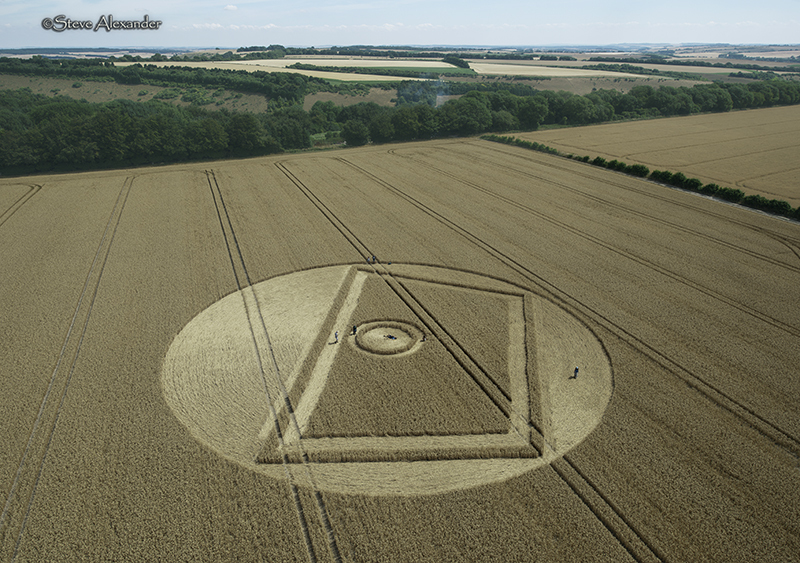 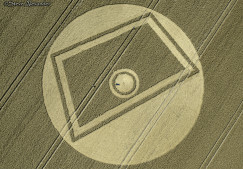 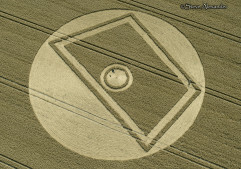 The circle is approximately 200ft in diameter and is in a field of mature wheat. 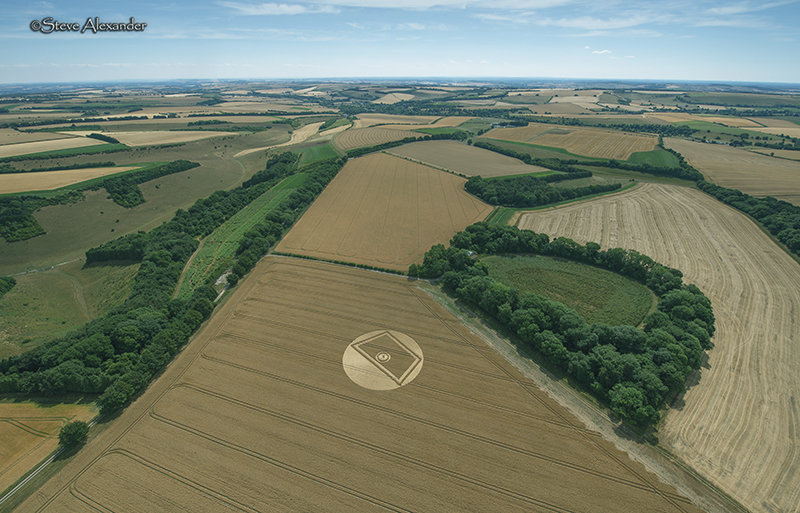 As we flew over, many of the nearby fields were in the process of being harvested, one wonders how much longer the season will continue and if we will have an early finish in 2018. 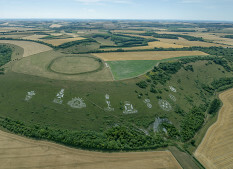 Location: This is a very pretty location, Gurston Ashes, is a ring of ancient trees, not far from Fovant in Wiltshire. 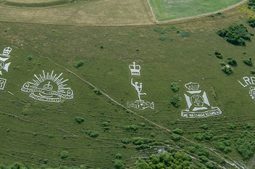 Fovant is famous for its chalk Military Badges carved into the hillside, you can see pictures of the Badges in the gallery below and read more about both them and their history here. 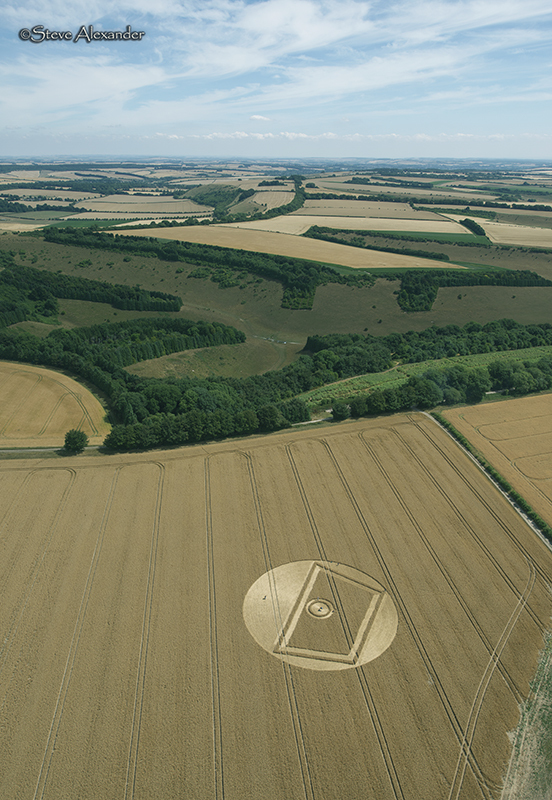 The area was a huge barracks site in WW1 and the first badges were carved by soldiers using the barracks. 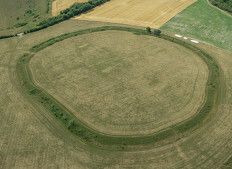 Gurston Ashes and the Fovant Badges are also close to Chiselbury Ring an Iron-Age hill fort (see images below) which sits almost directly above the Fovant Badges. 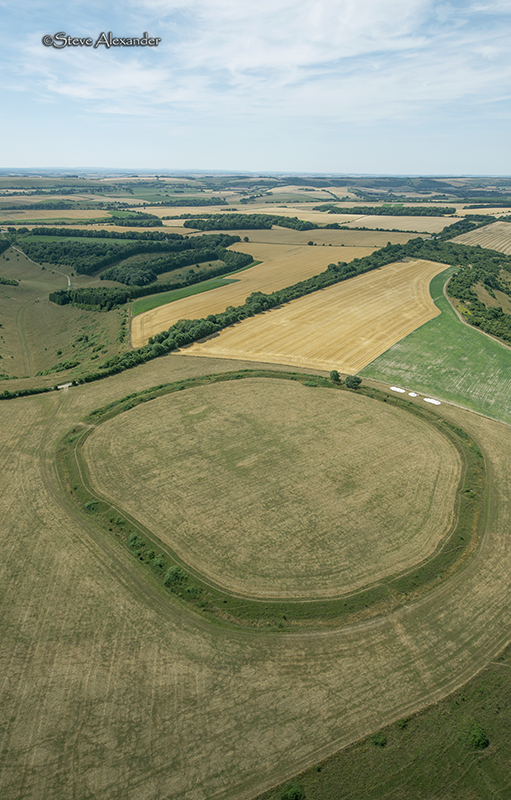 You can read more about the hill fort here – all in all this is a lovely and very interesting part of the Wiltshire landscape. 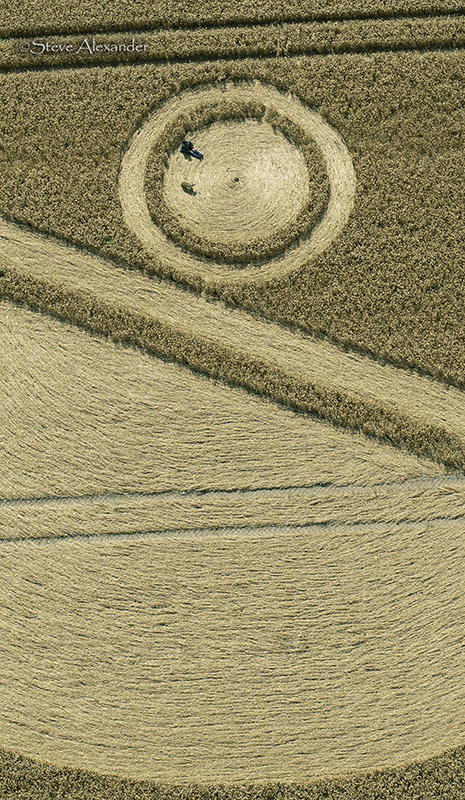 Visiting: We have heard that the farmer is not allowing access to this formation, so please keep out of the field – thanks. 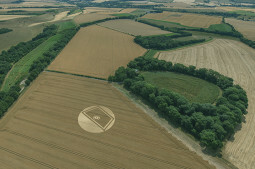 Harvesting is well underway in this area. 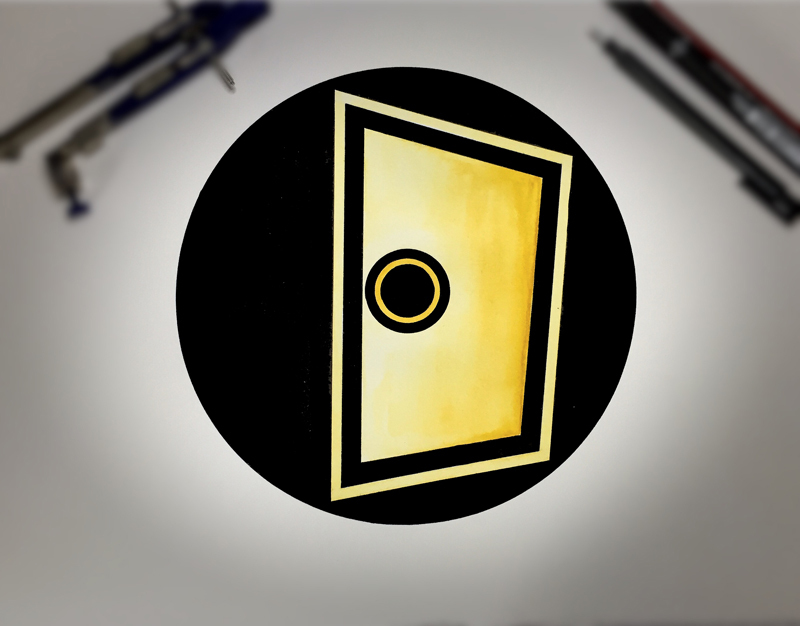 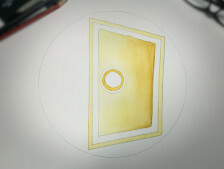 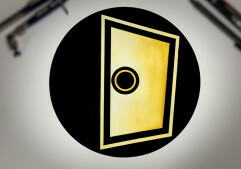 Design & Symbolism: Many have interpreted this design as a door ajar – which seems eminently reasonable. 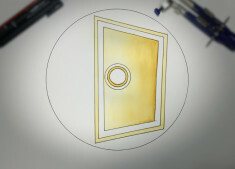 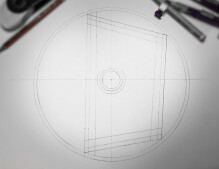 According to the geometer and researcher Michael Glickman, the doorknob is located at the centre of the enclosing and outer circle (a nice touch). 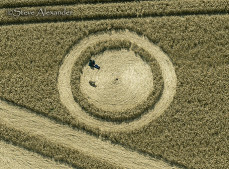 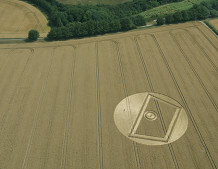 The idea of the crop circles as some kind of portal (or doorway) is not new and there have been several formations that have shown tunnels, portals and other similar design motifs. 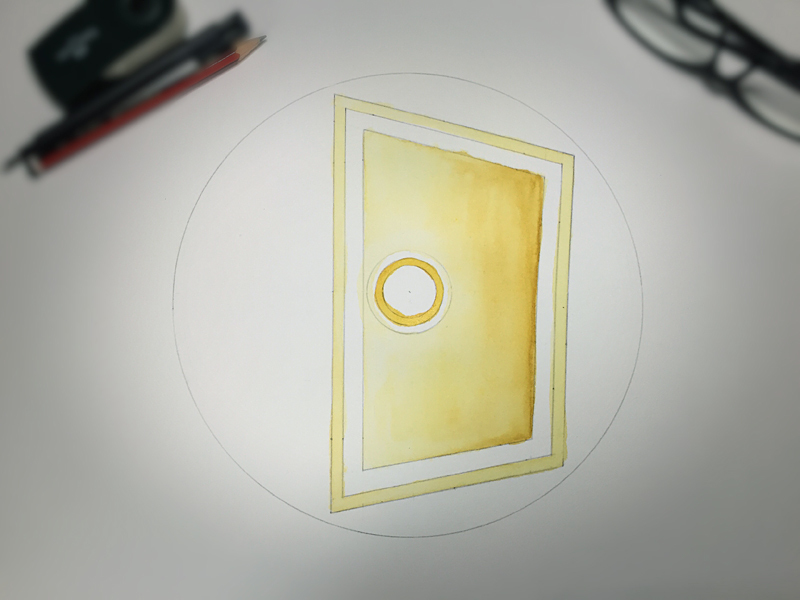 This circle immediately reminded me of the book title ‘The Door Marked Summer” by Michael Bentine and the Steve Wilson song of the same name. 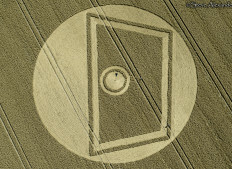 If ever there was a door marked summer – this would be it! 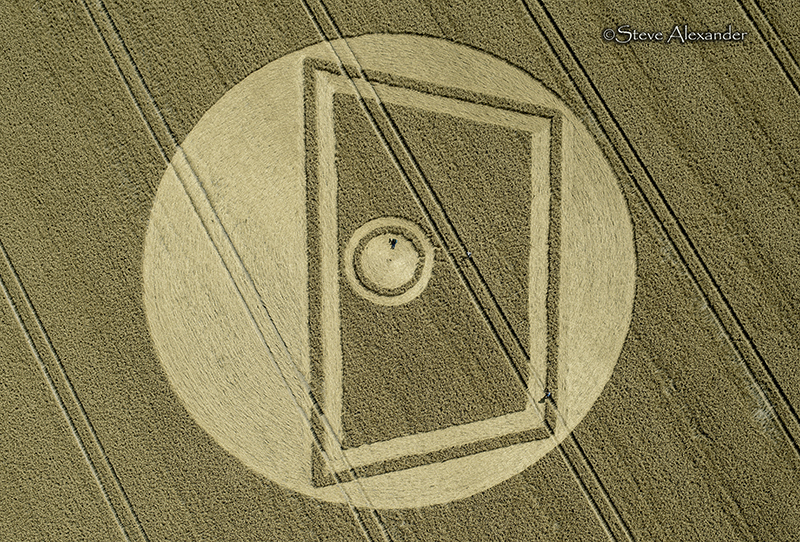 The fact that so many intuitively sense that the crop circles are doorways to somewhere other is very interesting indeed, perhaps some are ready for a new adventure or searching for access to something ‘other’? 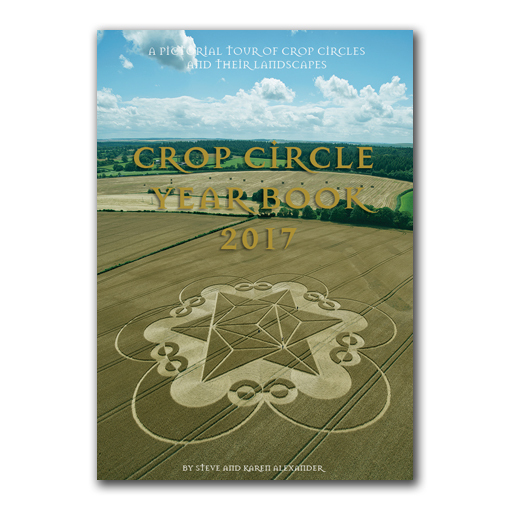 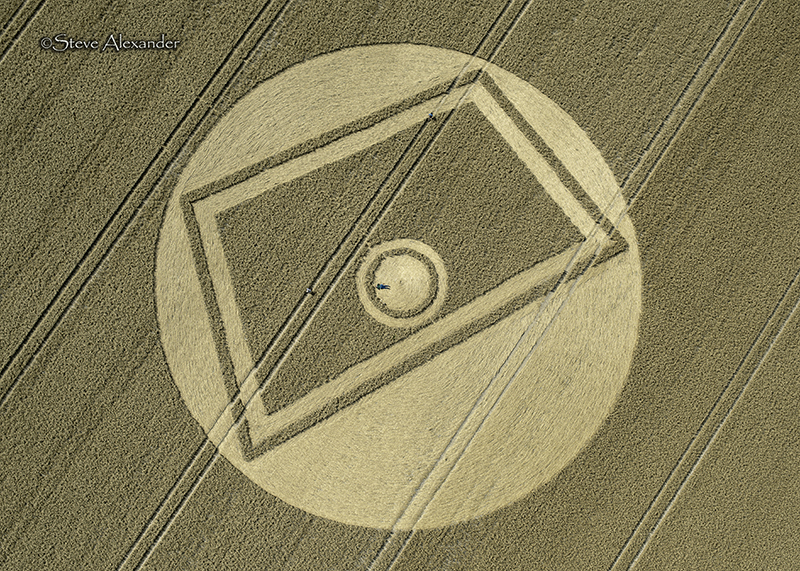 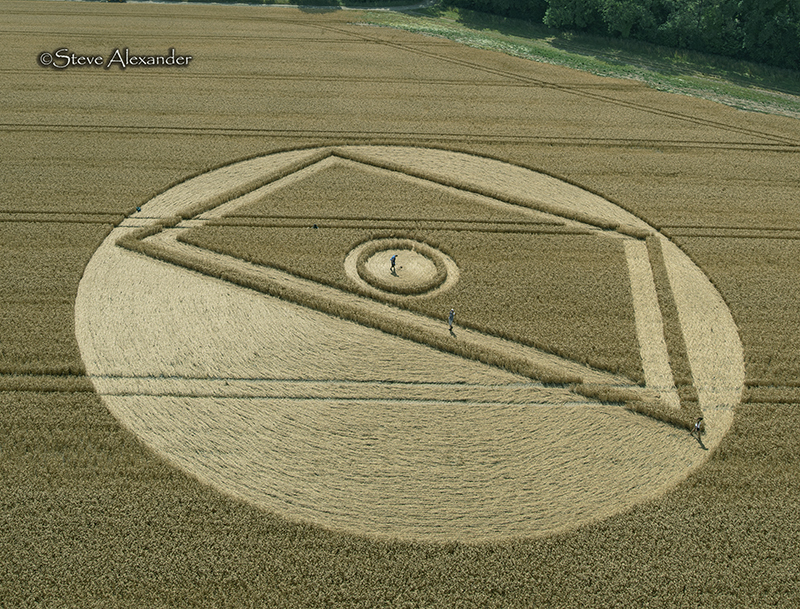 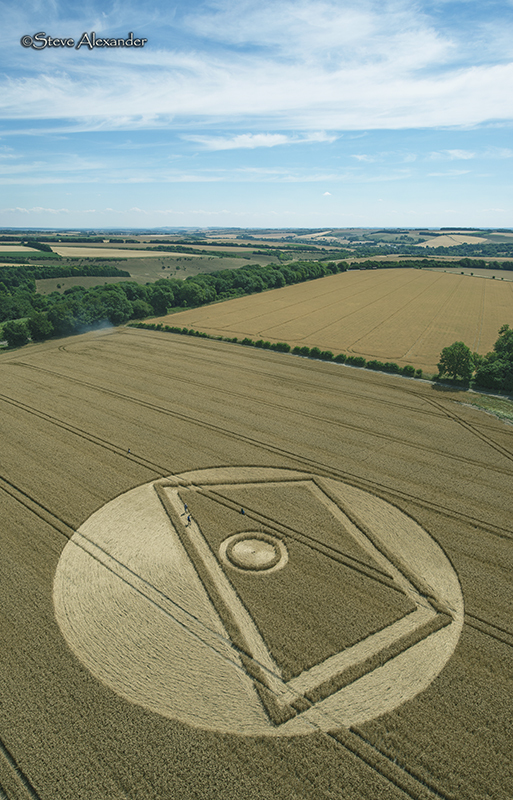 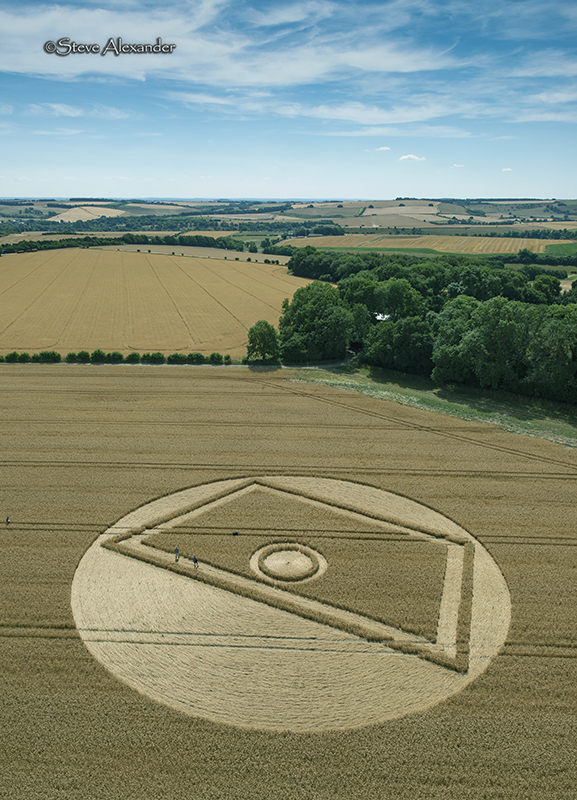 Many people report incredible synchronicities in relation to the crop circles, and sense that somehow the circles are a conduit through which they can explore this ‘otherness’ and their relationship to it. 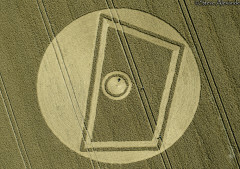 What is the paranormal if not a link with something else, whatever that may be? 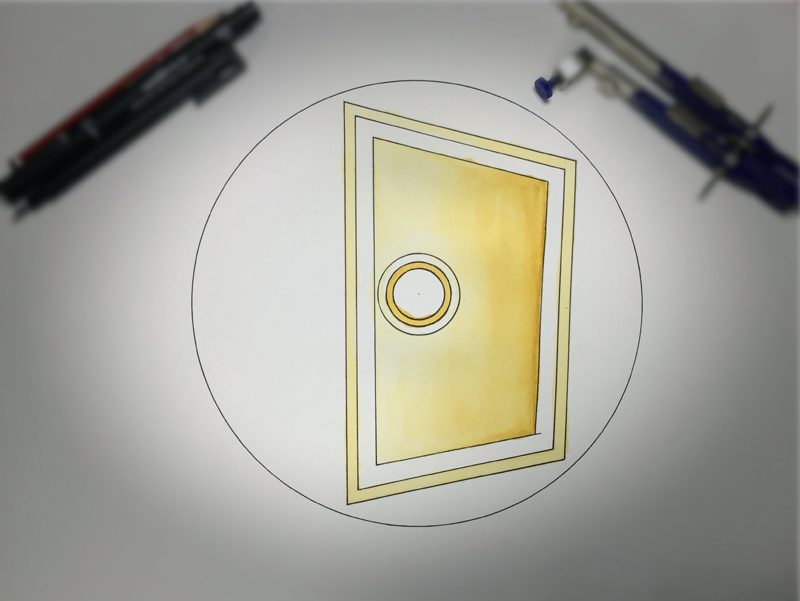 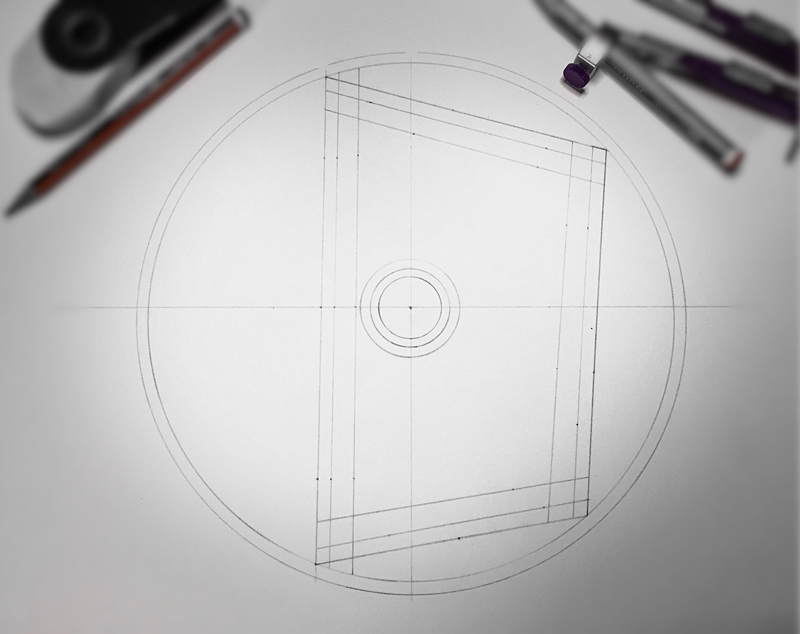 I had at first wondered if the door would reveal a pentagonal geometry, but once on the drawing board it was clear this wasn’t the case. 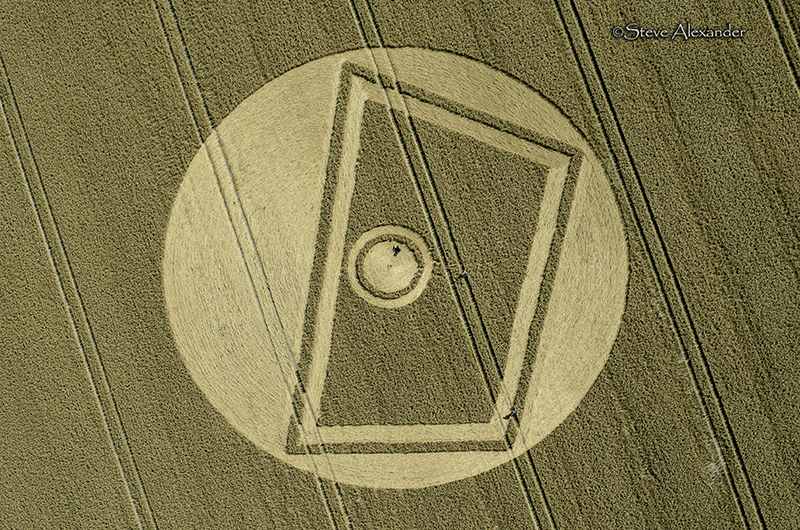 As far as I could tell, the door was created with a measure of 15 degrees off the right-angle. 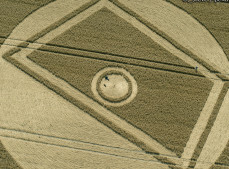 Still, it is a fabulous design and it makes a striking image when in the field and when painted. 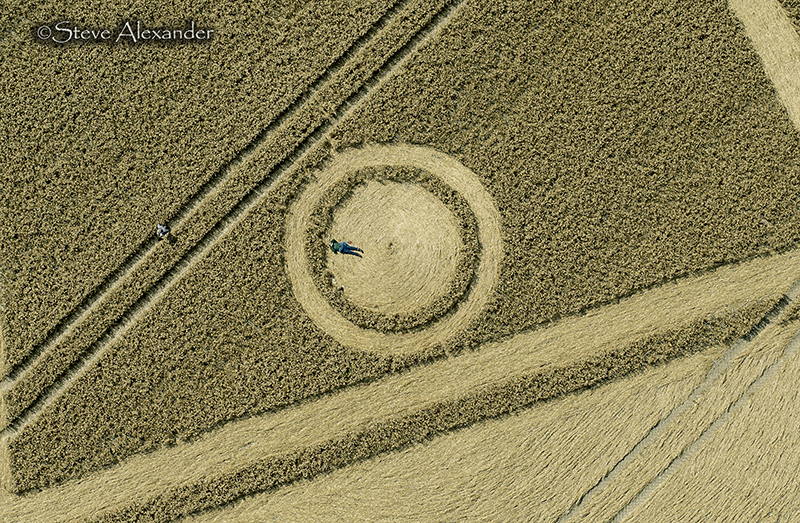 This might be an image I come back to over winter months for another look.